Breakfast is one of the best meals of the day and this Irish classic is sure to awaken your taste-buds. Crack 2 eggs into a heat proof jug, add the milk and the butter and a pinch of salt and beat with a fork until fluffy. Microwave for 1 minute, beat again and return to the microwave for another 30 seconds or until they are cooked to your liking. 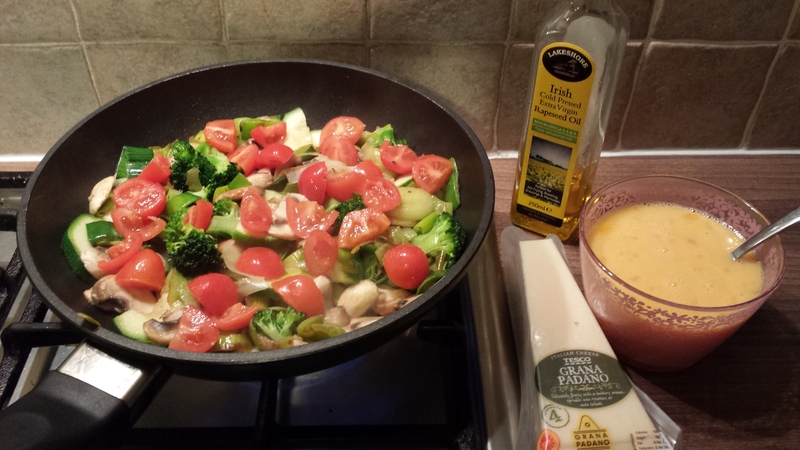 Put the rapeseed oil into a small pot and add the mushroom until golden, it takes only 2 minutes. Add the spinach until wilted. Toast 2 slices of soda bread and spread a light coating of butter on them both. 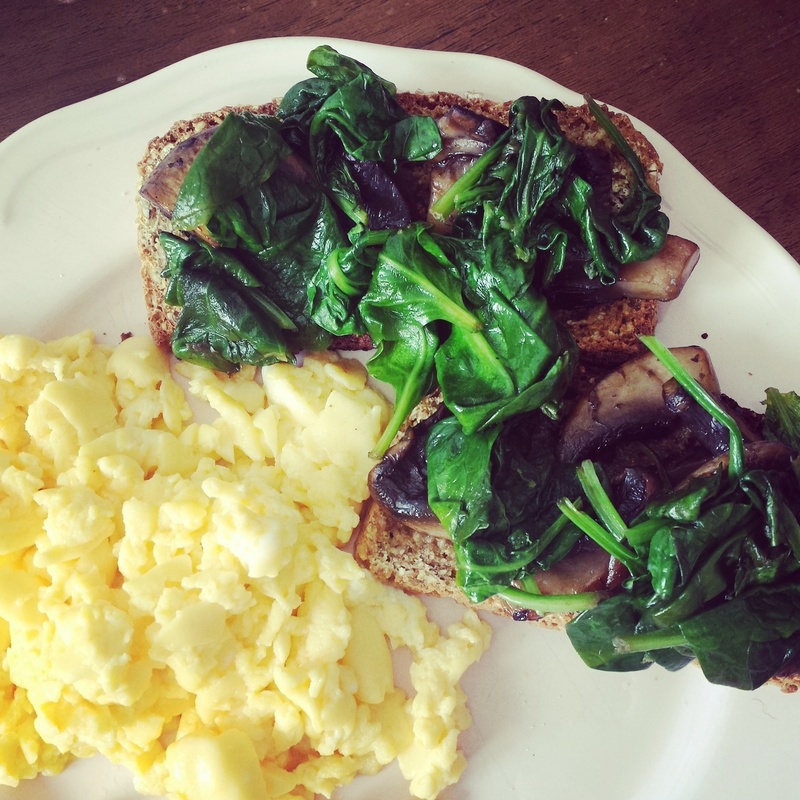 Put the mushroom and spinach mixture on top of the toast and serve the scrambled eggs on the side. One of my favorite things about the weekend is that I have lots of free time to make brunch, the most important meal of the day!! 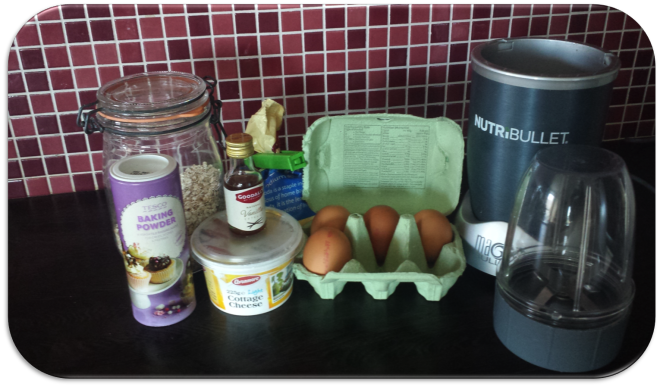 I usually head to the gym on Saturday mornings so protein pancakes are exactly what I need. Most of the blogs I read use whey protein powder for their pancakes and that’s absolutely fine but you can also get a cheaper, very easily absorbed, high quality protein from your diet. If you don’t use whey protein, these pancakes are perfect for your post-gym brunch! The protein in these pancakes comes from egg whites and cottage cheese – don’t knock them till you try them! Heat the Rapeseed Oil in a deep dish pan. 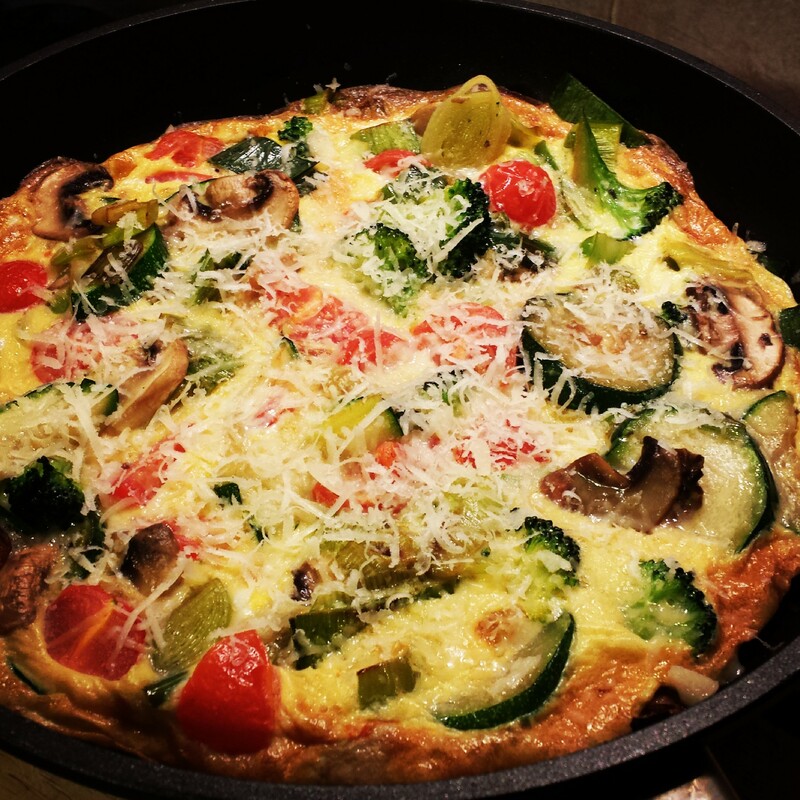 Add leeks and sweat for 2 minutes until soft, then add Sliced Courgette, mushrooms and brocolli floretts, stir fry on a medium to high heat for a further 2 minutes, then add tomatoes on top and pour in whisked eggs. Cook on a medium heat for about one minute making sure to slightly agitate the bottom so that the egg starts to cook halfway through. Then put under a grill oven at 200c and cook until egg is cooked through and its just starting to puff up. Turn out onto a plate and scatter grated parmesan.